Juan Esteban Aristizábal Vázquez, better known in the music world as Juanes, is a Colombian singer and songwriter. He has been releasing solo albums every three or four years since Fíjate Bien (Take a Good Look) in the year 2000. In 2005, he released the single “La Camisa Negra” (The Black Shirt), which quickly became popular around the world. This song was at one point number 89 on Billboard’s Hot 100, a rare achievement for a song with non-English lyrics. After proving himself with the success of “La Camisa Negra,” Juanes continues to release popular albums nearly a decade later. Just last year, he released his sixth studio album, Loco de Amor (Crazy in Love). This album consists of eleven songs, each with Spanish lyrics written entirely or in part by Juanes himself. Most are firmly planted in the Latin Pop genre, although, despite his acoustic guitar, others could easily be classified as rock. True to its name, Juanes’ new album contains songs about relationships and love. Of course, this really does not limit the tone of his songs, as he includes one for every part of a dramatized relationship instead of the sought after, unrealistic story of falling in love and living happily ever after. The title song, “Loco de Amor,” is about the unnoticed stalker in love. “La Luz” (The Light) is about two people meeting at a wild party and presumably never encountering each other again. “La Verdad” (The Truth), which conveniently is right after “La Luz” on the album listing, is about trying to forget a relationship that was not worth it or that ended badly. Another of Loco de Amor’s songs worth mentioning would be “Mil Pedazos” (Thousand Pieces). It is a nice example of when love goes wrong. “Mil Pedazos” includes the decidedly dark (transalted) phrases “My body explodes into a thousand pieces” and “I cut my soul into a thousand pieces,” but instead of being depressing, this song is actually sort of uplifting because as he sings, Juanes sounds quite happy about the whole thing. If someone were to listen to it without knowing Spanish, he or she might mistake this for a song about kittens and sunny days at the park. Of course, an artist would be hard pressed to release an album entirely about love without including the obligatory two stereotypical love songs, one professing undying love to someone, and the other too whiny for the lyrics to matter at all. Unfortunately, Juanes did not escape this baffling tradition, as “Laberinto” (Labyrinth) and “Una Flor” (A Flower) fit these descriptions with “Una Flor” being decidedly whinier and more pining than the other ten songs of Loco de Amor. 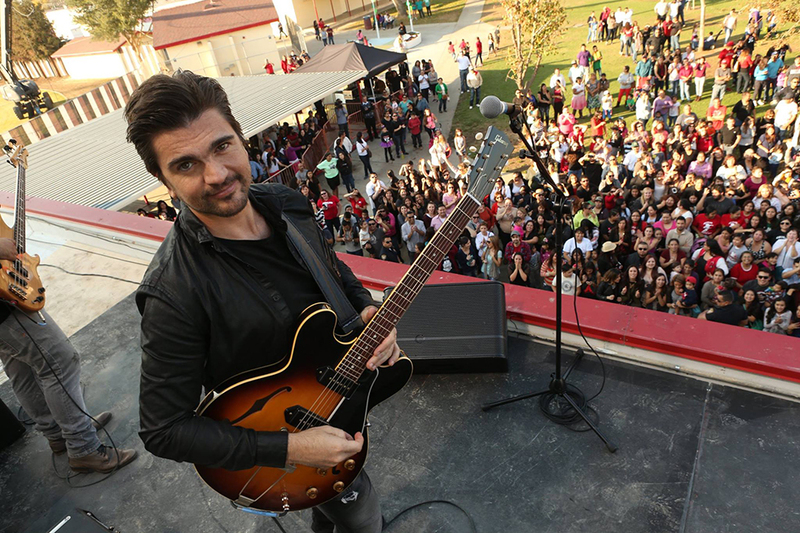 Even with these two throw away songs, Juanes’ new album was a popular release and has been nominated for the 2015 Lo Nuestro Award for Pop Album of the Year. In 2014, Loco de Amor was nominated for, and subsequently won the Latin Grammy Award for best Pop/Rock Album. As far as future plans, Juanes has not announced a new album or upcoming tour yet, but if his release record is any indication, he will have another album in the next three or four years.